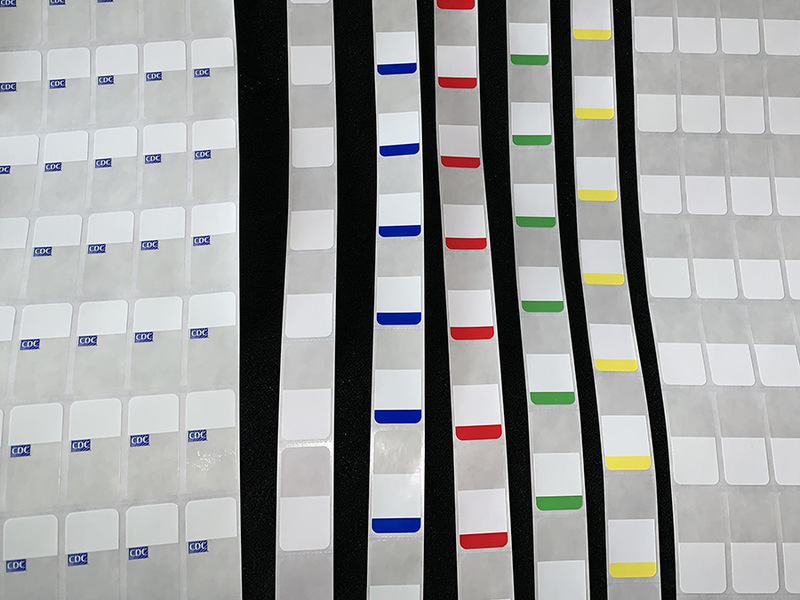 Labels with freezer adhesive typically have a clear portion to see through and a special opaque white area for maximum contrast when barcoded. While various White Films offer unique advantages, other materials can present unforeseen pitfalls. Paper Labels have their place too, but just not in freezers! To add a level of security or polish your image, you may consider a Clear and White label with colored logo added. Choose from several existing sizes to avoid added preparatory charges. Investigate the Partnered Print Solutions Service Bureau for labels printed and even barcoded to your specification.